In days of late, there seems to be a strong effort to move the Disclosure narrative along at a more noticeable pace. This change of pace in revelations is primarily focused on the subjects of corporate crime, political corruption, and election fraud. However, there seem to be few of these disclosures more significant than those related to ET intelligence. The subject of off-world life has been the constant talk of NASA and the mainstream media for several months now, and this narrative does not include the typical childish snickering we have become accustomed to. This new narrative on ET life is one which is maintained with confidence and consistency (in extreme contrast to years past). It is as though the marching orders of the mainstream media have changed, and those who may have maintained secrecy for decades have somehow changed their minds about what is true. There are countless subjects we could discuss in the area of ET life, and multiple resources we can turn to for this type of information. However, for now, I will simply make the point that the information presently coming from official sources on the strong possibility of ET life seems to be out of place in modern media. This is not to say that ET life is impossible. I very much believe that it has been interacting with humanity for a very long time (both overtly and covertly). It is simply to say that open and honest truth does not typically come from corporate media. Any message that comes from an official source is typically so bias toward financial interests that to expect any objective perspective from these sources seems pointless. In this case, it seems there may be some type of profit attached to the way in which certain information is delivered. According to reports, there is also money to be made in the continued secrecy surrounding these subjects. The possibility that certain financial interests have profited off of this secrecy for decades may actually explain why there was such a rapid change of script for the corporate media on the subject of ETs. It may be that profitability in these areas has shifted toward partial revelation. Whatever the reasoning for these disclosures on possible ET contact, it is always a good idea to use discernment. It is also wise to avoid jumping to any conclusions for the sake of emotional security. The prospect of ET contact may require our education as well as our involvement so as to ensure that complete honesty and forthrightness are employ by media sources. In this way, we can make sure that any disclosures that come forward are thorough, impartial, and equally beneficial to all people. 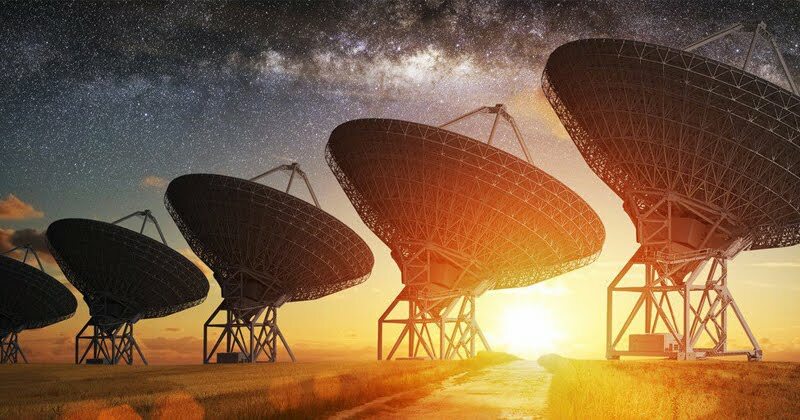 Astronomers discovered 234 mysterious signals from stars that could be different alien species trying to talk to us, according to a new study published Thursday by Laval University. Researchers used the Apache Point Observatory to analyze the spectra of 2.5 million stars, and identified 234 which are producing strange signals. The signals “have exactly the shape of an ETI [Extraterrestrial Intelligence] signal” according to the astronomers. Every one of the 234 stars was relatively comparable to our sun as well, raising the possibility that this could be aliens. Astronomers believe stellar oddities were caused by aliens before, when in reality it was simply an unknown, new phenomenon. In 1967, a graduate student in astronomy found a pulsing radio signal so predictable it seemed to be a sign of intelligent life. The astronomers even nicknamed the signal LGM-1, for “little green men.” They believed they had detected a signal from an extraterrestrial civilization, but it turned out to be the first pulsar. However, recent research and discoveries indicate that alien life probably does exist elsewhere in the universe. Scientists not involved with the discovery previously estimated that the odds of humanity being the only civilization in the universe are less than one chance in about “10 billion trillion,” and that there have been roughly 10 billion alien civilizations in the history of the universe. Using a simplified version of the famous Drake Equation, the scientists concluded that the number of advanced alien civilizations in the universe is equal to the number of habitable planets multiplied by the likelihood of a technological species developing on one of these planets. Scientists found possible evidence of an extraterrestrial civilization last October, when astronomers with Yale University and other top schools published a study that used NASA’s Kepler Space Telescope to examine the star KIC 8462852. What astronomers found astounded them: The star had light patterns that were consistent with large orbiting masses that blocked out some of the star’s light.